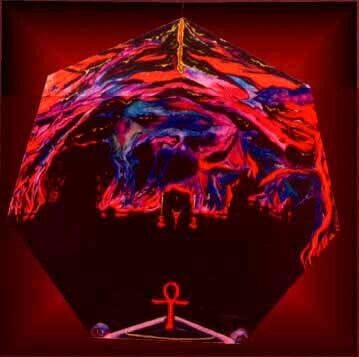 This painting was first constructed via astral workings with Nema and my fearless magickal partner, Fred Fowler, wherein the three of us together built a subterranean temple for observance of the mysterious rites of Babalon. The writings collected herein chronicle other such magickal explorations . . .